Traveling – whether it’s the short commute to work or the yearly pilgrimage to the beach – is something we all have to do; and it should not be asking too much that it be enjoyable for you and your loved ones. At least, that is what we at Doug Henry CDJR believe. Our dealership has a great selection of vehicles to make any of your journeys pleasant, but we’d especially like to turn your attention to the 2019 Dodge Journey. This SUV crossover – seating seven — will give room to not only you, but whoever tags along for the ride. Another perk of the Dodge Journey is that it is one of the most economically priced crossovers in this vehicle class. You might be asking yourself what features are being taken away from this model to make it so affordable, but the Dodge Journey has plenty of entertainment, technology, and other features that make this SUV simply a great deal. On top of that, you have choices to make your 2019 Dodge Journey your very own. These choices start with the three trim levels: SE, Crossroad, and GT. SE: A six-speaker sound system, 17-inch steel wheels, a 4.3 touchscreen interface, and 60/40-split second-row seats. Crossroad: Heated front seats, leather upholstery, 19-inch black-painted alloy wheels, and an array of other features. GT: Leather upholstery, remote start, heated front seats, heated steering wheel, 19-inch alloy wheels, and much more. So where can you go to check-out the Dodge Journey in the Greenville, New Bern, and the Jacksonville area? That’s a no-brainer: Doug Henry CDJR. At our Kinston, NC dealership you will find an incredible selection of new vehicles. Our dealership doesn’t stop there, though, because we also have some amazing deals on our pre-owned vehicles too! Our objective as a dealership is to get you into the exact make and model of your dreams and making sure you feel satisfied with our customer service. Contact us online if you’d like to schedule a test drive, and then come visit our dealership at 4051 W. Vernon Ave, Kinston, NC 28504. Desired among crossover lovers is third-row seating, which the 2019 Journey offers in all trim levels. Spacious with an amazing 67 cubic feet of cargo space, the cabin of the Dodge Journey is comfortable and has more than enough room for you, your passengers, and whatever else you may have brought along for the ride. Other amenities in the interior of the 2019 Dodge Journey include a Uconnect infotainment system with an 8.4-inch touchscreen which gives you access to other fun and functional features such as SiriusXM Travel Link, SiriusXM Traffic, and more. You will also feel secure knowing that the 2019 Journey offers leading-edge safety technology that includes the ParkSense Rear Park Assist system and Parkview Rear Back Up Camera. 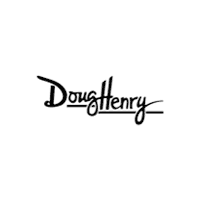 Why Buy or Lease at Doug Henry CDJR? Amazing customer service, selection, and sales. Those are just three reasons why people all over the Kinston area are coming to Doug Henry CDJR and why you should get your next vehicle with our dealership. Our staff looks forward to seeing you soon! *Bluetooth® word mark and logos are registered trademarks owned by Bluetooth SIG, Inc. and any use of such marks by Dodge is under license. A compatible Bluetooth®-enabled phone must first be paired. Phone performance depends on software, coverage and carrier.